يشكل فندق South Pacific Plaza Resort بموقعه الممتاز في منطقة مطاعم, تسوق, شواطئ ضمن مدينة جولد كوست، مكاناً ملائماً لقضاء العطلة بعيداً عن عجقة أيام العمل. يمكن من هنا للضيوف الاستمتاع بسهولة الوصول إلى كل ما تقدمه هذه المدينة النابضة بالحياة. يضفي محيط الفندق اللطيف وقربه من اوسيس, Gold Coast Surf Academy, Haan Health Medical Centre سحراً خاصاً على هذا الفندق. استمتع بالخدمات الراقية والضيافة التي لا مثيل لها بهذا الفندق في جولد كوست. يمكن للنزلاء الاستمتاع بالميزات التالية: تخزين الأمتعة, واي فاي في المناطق العامة, صف السيارات, رعاية أطفال, مرافق للشواء أثناء إقامتهم في هذا المكان الرائع. بالإضافة لهذا,تتضمن كل غرف الضيوف مجموعة واسعة من وسائل الراحة . بعض الغرف توفر حتى تلفزيون بشاشة مسطحة, اتصال لاسلكي بالإنترنت, غرف لغير المدخنين, مكيف هواء, شرفة/ تراس لإرضاء أكثر الضيوف تطلباً. يقدم الفندق مجموعة واسعة من وسائل الراحة المتنوعة، كمثل: حوض استحمام ساخن, ساونا, مسار جولف - ضمن 3 كم, حمام سباحة خارجي, سبا. إن South Pacific Plaza Resort هو خيارك لخدمة الفنادق الراقية في جولد كوست. The best location....comfortable unit on fifth floor..excellent views. * friendly staff and just so central to go anywhere on the Gold Coast. Exceptional location. Few steps to shops/beaches. Down side, no air conditioning in bedrooms. Very noisy at night with window opened. 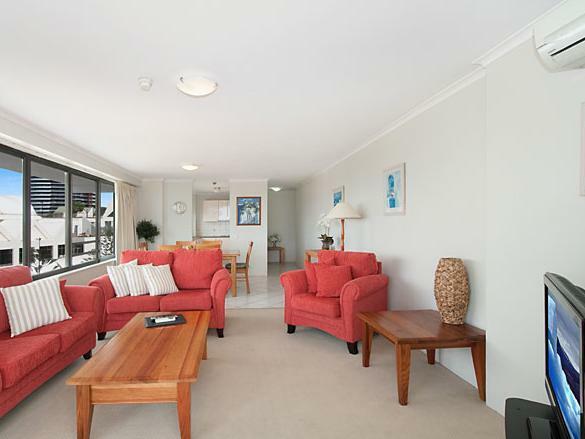 Great place to stay so convenient to shops and the beach. Staff very friendly and helpful. Loved staying here and we will be back for sure. Great location and easy access. This is my second times stay in this apartment. Right in the Oasis Mall across the road from the beach and surf club. Many restaurants around the hotel along with shops and a supermarket. A 1 minute walk to bus stop to Seaworld. Quiet location with views of the sea or Oasis Mall with the casino light show on display. A short stroll to light rail. Loved the location and view. Will definitely stay there again. The location of South Pacific Plaza can't be beaten. 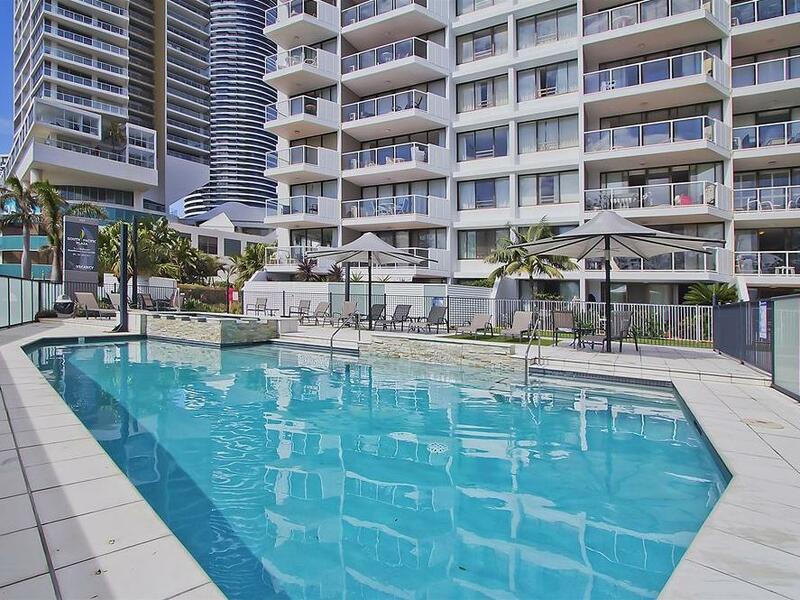 Right in the middle of the action at Broadbeach, just steps away from the beach, shops, restaurants etc. 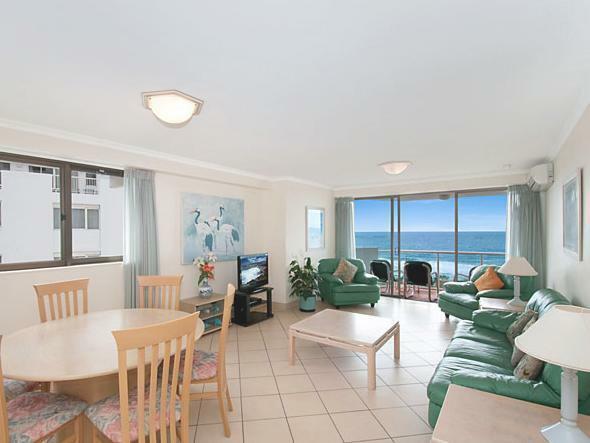 We stayed in a one bedroom apartment on the 15th floor, and had views from the ocean, over the Broadbeach Mall through to the hinterland. We were there during a music festival so there was some noise coming up from the mall, but this wouldn't normally be the case. Check-in was smooth and friendly, parking under the building is very convenient, and we didn't experience any prolonged waiting periods for lifts. The interior of the apartment was a little dated but that's to be expected in a building of this age. The only real negative is that the apartment wasn't air-conditioned, which is a bit of a rarity these days. Fortunately it was in the middle of a very mild Gold Coast winter, so apart from a couple of cool-ish mornings, the temperature inside was fairly comfortable. A stay in summer would definitely be a challenge, particularly when the afternoon sun comes in from the west. But overall great value for money - we'd stay again. Hard to give summary because some renovations are being undertaken at the present time. 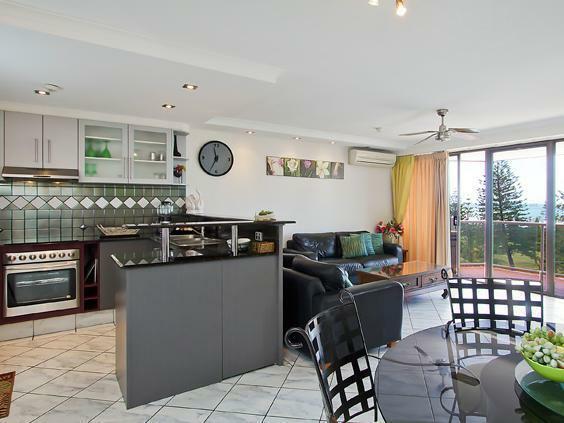 Great central location, close to beach and lots of food available within close proximity. Security, it was wonderful.we felt very safe an amazing holiday. 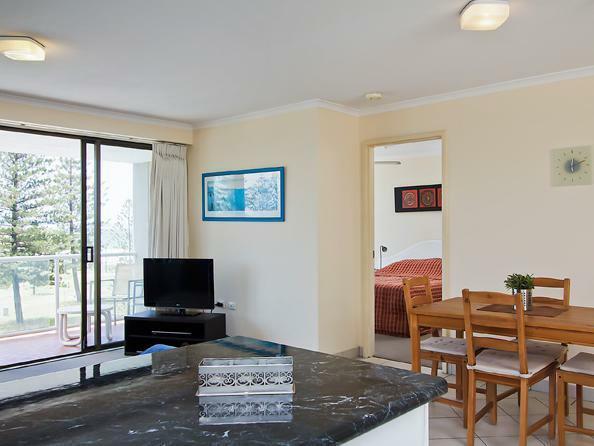 South Pacific Plaza Resort is wonderfully located in Broadbeach, opposite the beach and next to shopping. The apartment is standard, basic kitchen, room was neat and tidy, suitable for what was required. It has a nice pool and spa but for some reason the sauna is located in the basement next to the lift. The staff working were terrible, unwilling to assist with requests. We were unable to get a late check out nor did they have a storage room for luggage which made things difficult as i ran the marathon on the morning of departure. Overall, I would not stay at this apartment again. We had a room with the view of the Broad beach. The view was stunning. The apartment room itself was comfortable and clean however we had an issue with dryer. It wasn't functioning well. Stops by itself after just few minutes running. Very unfriendly receptionist with blonde hair, would not allow late checkout, would not allow use of hotel toilets. Room dirty, cockroaches in blankets, tiles dirty, had to go to local supermarket and buy own plates , cups and cutlery as they smelt terrible and were covered in dust and dirt. Bedroom curtains were not block out certains, so as if there was a light on, no point having them. Bed was hard and the springs welcomed us as we lay on the bed. Women at reception the worst part of our stay. So rude. Because of her will never return.